My personal experiences with Lesson 2 of ACIM have varied quite a bit. Although I believe I understand holistically what this lesson‘s aims are, I find that the illusion itself seems to pull me back in. A more responsible way of saying that would be, I let myself get pulled back into the illusion. As I read through Aaron’s further comments regarding this lesson, it dawned on me that yes we only do react to our interpretations, a subtle explanation that I had overlooked at times. There is no definitive truth to an event, only what is, and our perceptions / interpretations of it. I can see why so many arguments have resulted from the lack of adoption of this one concept. How many wars could have been averted if this one idea was apart of our mainstream curriculum? I have been learning of this concept and have understood it long before attempting to complete lesson 2 of this material. 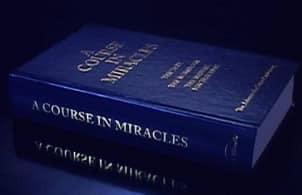 Through Taoist teachings they often state “Nothing has any meaning, save the meaning you give it.” Other spiritual texts and teachers such as Dan Millman have often stated this as well in their own way. Through my own experiences of learning the www.whitelotuscombatsystem.com, this concept also holds very true, and can be seen from a real application point of view, with the resulting effects being quite dangerous if this lesson is not learned well. From a martial point of view, if I observe a particular position or integrated action from my opponent and view this as a simple “guard” and believe this, I will act in a way which may not respect the placement of his body. The result could be the strike which in essence was hidden from my perceptions. To correct this, I must not only hold in mind my initial perceptions of the event, but also hold in context the other possibilities that this event might hold. The result is that I am more aware of the series of possibilities that could manifest from this situation, and thus my depth and breadth of awareness expands. This is not only needed in martial arts, but in all aspects of life and can be critical to our growth. ACIM Audio Lesson 313 – Now let a new perception come to me. ACIM Share Lesson 44 God is the light in which I see. ACIM Audio Lesson 312 – I see all things as I would have them be. ACIM Audio Lesson 309 – I will not fear to look within today.